In the late afternoon sun, the Hanwa 63 Building radiates a shimmering bright gold. Built in 1986 on Yeouido Island, it once reigned as Seoul's tallest skyscraper. It's claim to fame these days is that it houses the world's highest art gallery. 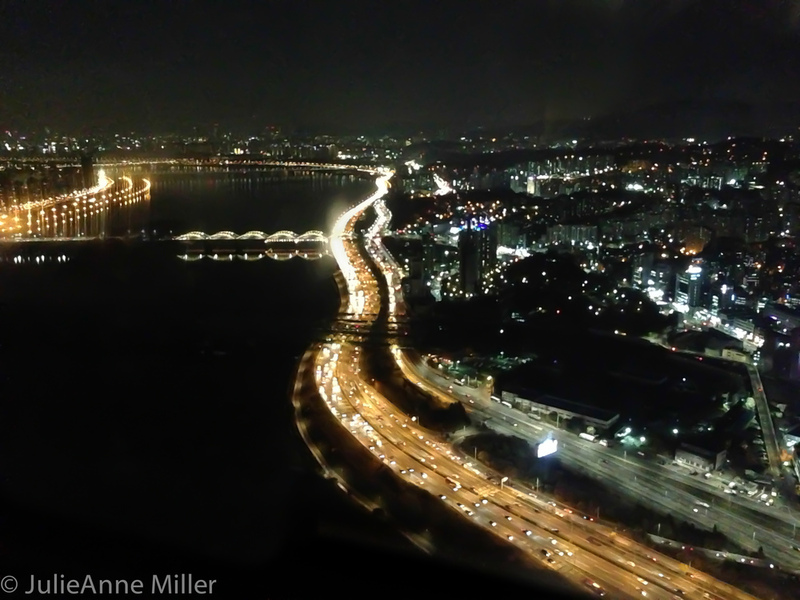 It's called the 63 Building (육삼 빌딩, or "yook sahm building") because it contains 63 stories, with a mix of residential floors, a shopping mall, various entertainment venues, and restaurants. You can shop, enjoy an IMAX movie or a live show, wander through the wax museum, eat!, or check out the aquarium. Just do NOT miss the observatory, which they call the Sky Deck! We visited one evening to see a dance show, which took place in a small, intimate theater. After the show, we rode the glass elevator to the Sky Deck and art gallery on the 60th floor. The night view was incredible! The art gallery displays several masterpieces, but the more interesting (IMO) are the eclectic, theme-based collections which change seasonally. 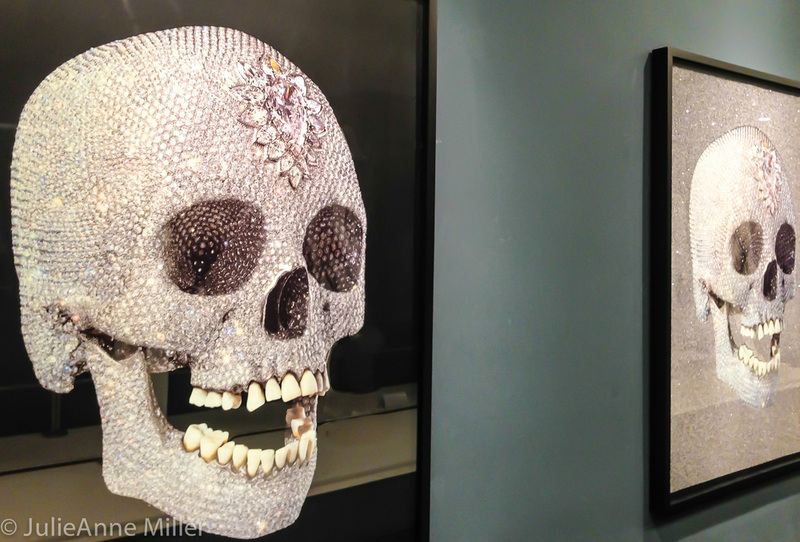 When we visited, there was a collection of skull artwork from about five different artists. Passing through a colorful, musical walkway, another series centered on a clothing theme. The few photos I provide here do not do the curation justice. I wish I would have snapped more because both collections were fascinating. I guess I was too enthralled!